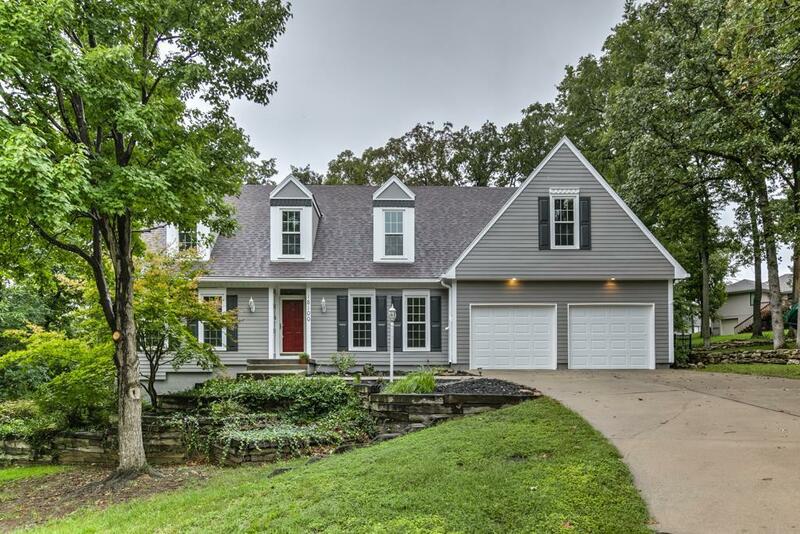 Beautiful two story home located on a quiet cul-de-sac in the award winning Blue Springs School District. This home offers 4 large bedrooms, 3.5 bathrooms, a large finished lower level that includes: a kitchenette, a 5th non-conforming bedroom, a workshop and a sun room! The main level and bedrooms consists of hardwood floors and new carpet. There are 2 laundry areas in the home. Through out the home you will be greeted with beautiful woodwork. The private park like back yard is perfect for entertaining.